Updates from the disaster and development research team at the University of Newcastle, Australia. A resource for the cross-disciplinary research community with interest in emergency/disaster management and a sustainable future for humanity. From 12-15 October, 2016, Central Vietnam faced an all too common occurance - disastrous flooding. While meteorologists are not surprised by the intense 2016 monsoon season due to the El Niño phenomenon and warmer Pacific water temperatures, the impacted provinces from Ha Tinh to Thua Thien Hue are some of the most vulnerable in Vietnam. As is often the case, the root causes of this disaster have been overlooked. 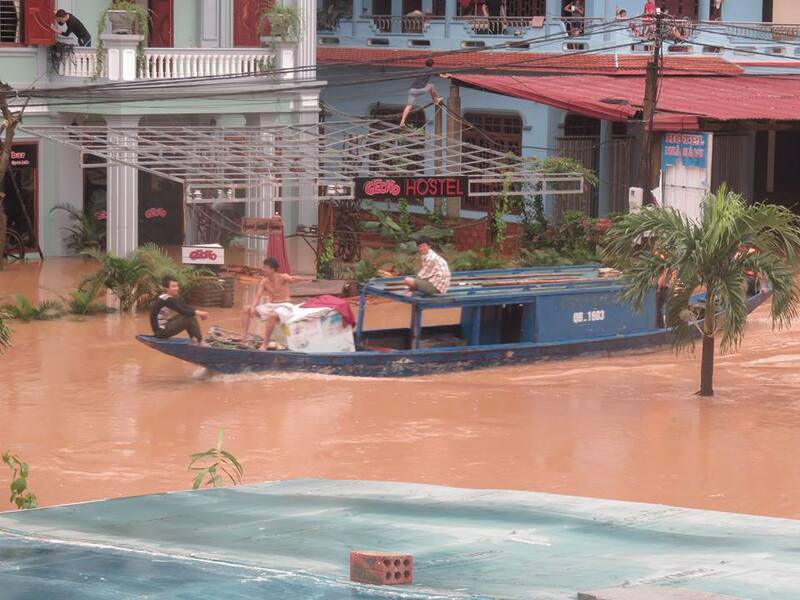 In some areas in Quang Binh, total rainfall reached over 900mm in 3 days. Torrential rain led to rivers overflowing their banks. 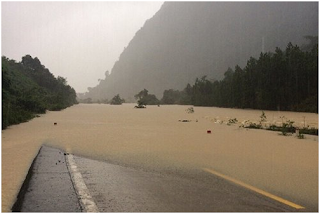 Flooding in mountainous areas caused landslides and across the region, roads were destroyed and residential areas were devastated. According to a report by the Department of Natural Disaster Prevention and Control (national level), the main impact of the floods included 34 deaths, over 100,000 flooded properties, over 300,000 animals killed and widespread damage to roads, agricultural land, canals, dykes and embankments. The severe consequences in terms of loss of lives and property in Ha Tinh and Quang Binh province cause us to look at preparedness and response from the national level to the local level (province, district and commune). What we find is that both those responsible for disaster management and those affected by disasters adopt a largely passive approach. 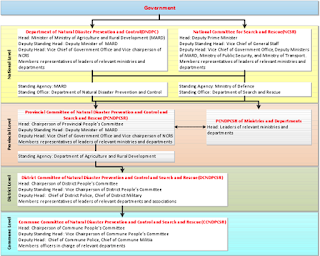 The institutional framework for disaster management in Vietnam shows that the public administration apparatus is entirely responsible for disaster related activities and that expert scholars and scientists are not involved in decision-making committees. The approach of the Vietnamese government is almost entirely reactive. If we want to really understand the impact of a disaster, we must reject the idea that it is a natural event, or the notion that it has no political drivers. In this case, the lack of a proactive approach has all but ensured widespread death and destruction. In the aftermath of such destructive flooding, provincial and district officials have all laid blamed on the flood discharge of a small hydropower project. This has been reported widely in the media. We have a situation where the heads of committees and those with decision-making power either do not understand the cause of flooding, or are deliberately misleading the public. Either way, the current working of committees is clearly not effective for protecting people and property. Decision-makers do not possess expertise in disaster management, let alone disaster risk reduction. They are government officials with little accountability. In May 2014 the Law on Natural Disaster Prevention and Control of Vietnam stipulated that disaster management activities must include prevention, response and remediation of consequences. However, after each event of this nature (which occurs every year and in many localities), we are left with fresh questions as to the effectiveness of the legal, organisational and operational framework. 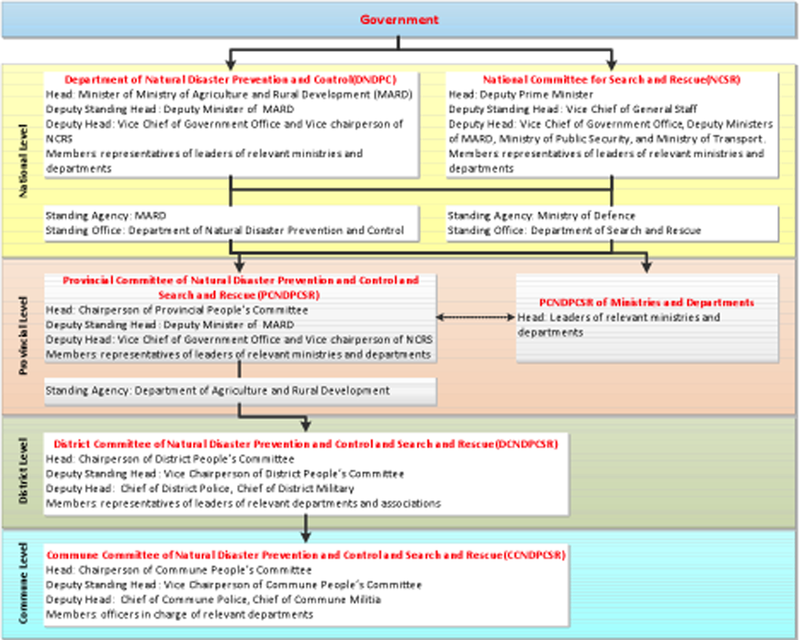 Action plans are prepared annually at each level. However, these are primarily administrative documents. They are prepared based on the flood risk management experience of staff working within the political system. It is important to note the positive force with which all levels of government in Vietnam are mobilized in a disaster context, working with communities rapidly and in solidarity. This speaks to a strong existing community capacity. However, the presence of the public administration apparatus in flood risk management activities is just not enough. We call for the involvement of expert researchers and scientists in the flood risk management steering committee, shifting the focus to more proactive approaches, including mitigation and preparedness. Decisions must be made based on a combination of the latest scientific knowledge and a deep sensitivity to the local context. A solution to reduce risk in Central Vietnam must go beyond a technical fix; it must be economic, social, political and environmental. Change, or the Same Old Thing?